The Keys to Music podcast continues its survey of Beethoven’s music by exploring the Diabelli Variations. Beethoven’s opus 120 is usually known today as the “Diabelli Variations”. 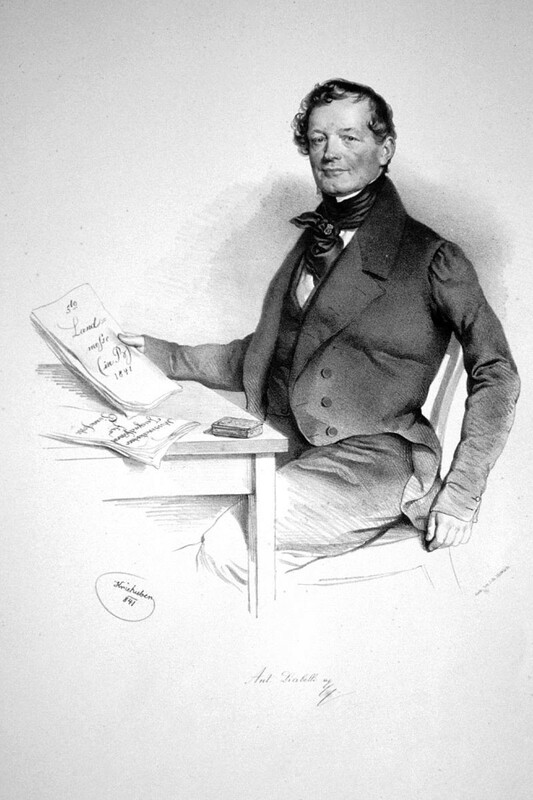 These thirty-three variations on a waltz by the Viennese composer and publisher Anton Diabelli (1781–1858, pictured) make up what many people regard as Beethoven’s greatest work. It’s certainly the most visionary and exciting set of piano variations of the 19th century. Beethoven called the variations “Veränderungen” which can mean “transformations” as much as “variations”, and herein perhaps lies the key to this piece. Far from being a clever but predictable set of variations on a precictable and not-terribly-clever tune, Beethoven created thirty-three miniatures which each take one aspect or another of Diabelli’s waltz as an evolutionary springboard for a completely new piece. The result is one of the most challenging and unusual piano works from any era. This program uses the 2010 recording made in Sydney by Gerard Willems. Download the podcast from iTunes here, or on Soundcloud here. Listen to the performances of the Diabelli Variations featured on the podcast on iTunes here.